Garage Door Opener Service, Repair, and Replace. Garage Door Service, Repair and Replace. Section Replacement, Roller Replacement, Repair Garage Doors Off Track, Custom Garage Door Installation, Highlift Conversion, Spring Replacement. One Clear Choice Garage Doors has developed a reputation of honest value focused work that is affordable. They are the only company to post pricing for ALL of the most common service and repair jobs, as well as garage door opener replacement and garage door replacement. They have a showroom filled with the latest designs, a collection that will be hard to find anywhere with regard to variety. One Clear Choice is a LiftMaster Provantage Dealer, a leading garage door opener company and Clopay Master Authorized Dealers, a leading garage door company In the Industry. One Clear Choice Garage Doors offers competitive pricing. They believe that they can give you the best price that they have a written guarantee that pays their customr $50 if they cannot beat a competitors price (not all compnaies qualify as competitors). They have knowledgeable staff available to help you. With just a few questions they can help diagnose your concerns. Sometimes they can even help you fix the problem over the phone. If they can NOT then you can schedule an appointment with a highly qualified garage door technician and get your problem fixed today! You do not have to worry about who is coming to your house, they do not use sub contracted labor and all their vehicles are marked. Call One Clear Choice Garage Doors to schedule your FREE quote today!! One Clear Choice Garage Doors only uses top quality brands and products. Some of which include Clopay, Liftmaster, CHI, Southern Ideal, South East Door, and Ammarr. All parts are warrantied through the manufacturer, and all labor is warrantied through One Clear Choice. 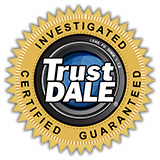 Liftmaster Provantage Dealer warranty is available through One Clear Choice. A 5-year warranty is offered on all opener components no questions asked up to the complete (one time) replacement of the entire opener - even issues caused by forces of nature. One Clear Choice is also a Clopay Master authorized dealer, offering a premium door warranty - lifetime springs. You can find all pricing for One Clear Choice online. No one else does that. One Clear Choice is honest and upfront about their whole process, you will know the process before any agreements are made. They have a showroom available Monday-Friday 8AM-5PM. They answer phones 24/7 with emergency services. One Clear Choice Garage Doors has developed a reputation for being an honest, value focused company that is also affordable. They find ways to say YES! They are your One Clear Choice for Garage Doors! Products & Services: Garage Door Opener Service, Repair, and Replace. Garage Door Service, Repair and Replace. Section Replacement, Roller Replacement, Repair Garage Doors Off Track, Custom Garage Door Installation, Highlift Conversion, Spring Replacement.